With Samsung's devices, you have support for both Qi and PMA wireless charging, whether the iPhone X only supports Qi wireless charging protocol. Qi and PMA are the most widely supported wireless charging standards. The good thing about having support for both PMA and Qi is that you don't need to have a choice when buying a wireless charging accessory. Furthermore, if any place has a wireless charging plate, you know that your phone can be charge on it. With the iPhone X, you'll only be able to use it with Qi compatible chargers. Apple did make its own charger dubbed AirPower. 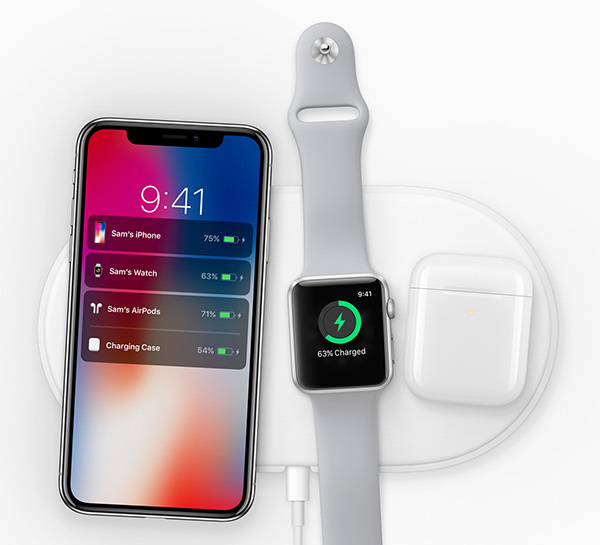 It's a charging plate that uses the Qi protocol to charge the iPhone X, the AirPods and Apple Watch (Series 3). I'm sure that many people who buy the iPhone X will probably buy Apple's charging pad because it can charge up several devices due to its multiple coils. Still, it's nice to have PMA support, as your device can be compatible with many other wireless chargers, many of them are cheaper than Apple's. By the way, on its website, Apple sells also Blekin Boost Up Wireless Charging Pad, which is compatible with the iPhone 8, iPhone 8 Plus and the iPhone X. There is also the mophie wireless charging base which is also compatible with those three new smartphones. As of the time of writing, both cost $59.95 (visit Apple.com for updated pricing). The other thing is that when Apple chooses a technology, the chances that that technology will rule the market in the future. Of course you don't have to buy Apple's charger or the third party ones sold on its website, there are tons of other options, many of them are much cheaper and vary in their designs. 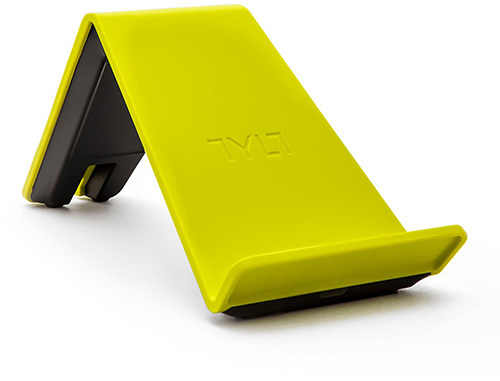 I personally really liked TYLT VU Qi charger ($19), it's just a really modern and sleek charger, better looking than the ones sold on Apple's website. Qi is more popular from what I've read, but PMA got into the headlines where leading coffee, Starbucks, announced that they incorporate PMA wireless charging in the US. A very recent article posted on The Verge say that now Starbucks is updating its wireless chargers to support the new iPhone X and iPhone 8 smartphones as well. Before that, their charging plates were compatible with the new iPhone X and iPhone 8. If you don't support Apple, you are history, so wasn't a surprising move. The bottom line is that having support for both Qi and PMA protocols would give you more buying options for purchasing a new charger, one that fits your design style. Is it a big disadvantage, probably not, but still, having a choice always benefits the customer.